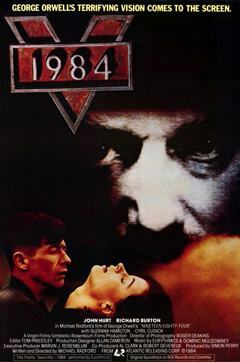 Winston Smith is the central character of Nineteen Eighty-Four. He represents the thoroughly oppressed and psychologically imprisoned citizen of a regime that allows no dissent, even within one’s own thoughts. He is tortured by self-doubt, and the conflict that boils within him as he is unable to express the growing realisation that something is terribly wrong. Winston Smith: [voice-over] Thoughtcrime is death. Thoughtcrime does not entail death. Thoughtcrime IS death. I have committed even before setting pen to paper the essential crime that contains all others unto itself. Winston Smith: We are the dead. Winston Smith: Freedom is the freedom to say two plus two equals four. If that is granted all else will follow. Winston Smith: Julia? Are you awake? There is truth, and there is untruth. To be in a minority of one doesn’t make you mad.